Once upon a time, “tech company” referred exclusively to a business working in a science or engineering field. Today, nearly every company relies heavily on tech talent to create, market, distribute, or interact with its product or service in some way. With tech jobs so widely distributed among different industries, many companies are struggling to meet their growing need for tech talent. Tech has one of the widest skills gaps among all industries, according to research from Third Way. And on top of that, the turnover rate in the tech field is the highest of any sector: 13.2 percent, according to a study by LinkedIn. Nationwide, more than 500,000 computing jobs exist, but the computer science student graduation rate is struggling to keep up. Fewer than 50,000 graduated last year, according to Code.org, which also estimates that available computing positions will outnumber qualified applicants by as much as a million by 2020. So what’s a company to do? Keep spending time searching for qualified candidates for each open position only to have them poached by another company? Hire candidates who only have some of the skills you’re looking for and spend resources training them? Neither of those sounds very appealing. Maybe it’s time to try something different — something like shifting to a contingent tech workforce. What’s the Shift Look Like? Reconfiguring how your tech work is done might take some effort, but transitioning to individual projects for which you hire skilled freelance workers isn’t as daunting as you might think. A number of tech-related jobs adapt well to a project-based contingent worker model, and thanks to cloud capability and advances in real-time communication, many projects can be accomplished from anywhere in the world as long as the right person is working on it. Programming and natural language processing are perhaps two of the most popular jobs for companies to move to a gig-based model. Given the popularity of speech-enabled AI devices like Siri and Alexa, talented employees with experience in NLP are in high demand, and many are able to manage projects for multiple clients at the same time. Additionally, many companies find themselves wanting to expand their tech offering — in the form of a mobile app, for example — and need to temporarily bring on programmers fluent in Java, Python, iOS/Swift, etc. Many software developers are already plugged into the gig economy and are simply looking for more jobs to take on. If you do feel like training your staff is a better long-term investment for your company, there’s a contingent solution for that as well: freelance trainers. Ninety percent of respondents to a recent consumer survey said they believe that providing training is an employer’s responsibility, and hiring a freelance educator or trainer for short-term assignments can be a great way to meet this need without signing on to a long-term financial commitment. 1. Look beyond traditional platforms. Many companies successfully use their regular staffing partner to help them find the right talent for particular projects, but for jobs that require highly skilled or specialized tech talent, the freelancers you need will not be found on the same old job boards. A 2016 report from the McKinsey Global Institute found that nearly a third of working-age people in Europe and the U.S. do at least some work independently. So the talent is out there; you just have to know where to look. Consider using online staffing platforms that specialize in highly skilled tech talent such as Toptal, Upwork, or Gigster. Bringing on contingent employees also means answering questions about compliance laws: Can you safely engage a freelancer as a 1099 independent contractor? Or should you or an employer of record hire him or her as a W-2 payrolled employee? The answers might change depending on where your business is located. Recent legal rulings in California, for instance, require employers to pass a three-step test before they can classify an employee as a freelance or contingent worker. Be sure you know what’s required in your state so you don’t create a legal mess for yourself. When it comes to gig economy jobs, the highest-paying jobs are in the tech sphere, specifically AI, deep learning, blockchain architecture, and robotics, according to research from Upwork and the Freelancers Union. With tech talent in high demand, coming in too low with an hourly rate could leave you struggling to get a qualified freelancer, making it more likely that you’ll make a bad hire out of desperation. Skilled tech workers know what they’re worth, and it isn’t always cheap. But given the turnover rate in the industry, you’ll still save more money by opting to pay a higher rate to a freelancer for particular projects than to onboard a new salaried employee every couple years. 4. Provide clear guidelines and expectations as early as possible. From your first interaction, set clear expectations about what the job entails and how you’ll measure success. 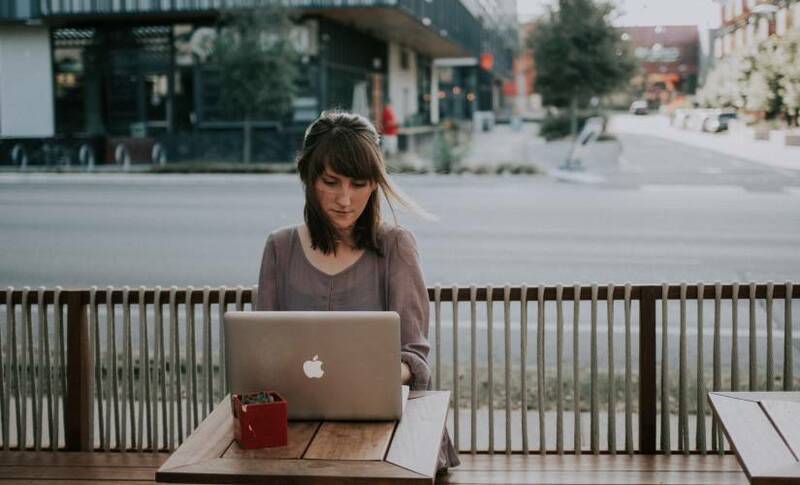 A majority of freelancers do contingent work because they appreciate the flexibility, according to research from MBO Partners, which means that consistent, frequent communication is vital in ensuring accountability. Make sure your needs are being met and that the freelancer can adjust his or her tasks based on how the project is progressing. The tech workforce is changing, and it’s time that the process companies use to hire tech talent changes as well. Shifting tech jobs to a new freelance workforce can help close the skills gap and create lucrative opportunities for businesses and their contingent employees. Sara Jensen is the vice president of business development at Innovative Employee Solutions, a leading nationwide employer of record that specializes in payrolling and contractor management services.